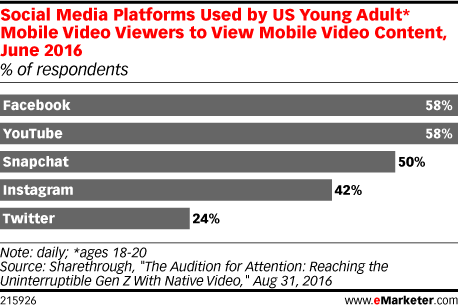 Data is from the August 2016 Sharethrough report titled "The Audition for Attention: Reaching the Uninterruptible Gen Z With Native Video." 300 US young adult mobile video viewers ages 18-20 from the Qualtrics panel were surveyed online in June 2016. All respondents were mobile phone users who watch mobile video. Respondents were asked questions after being shown an autoplay in-feed native video ad. Sharethrough is a native advertising software provider.